The writer whom Fran Lebowitz compared to the author of The Great Gatsby, calling him #147;the real F. Scott Fitzgerald,” makes his Penguin Classics debut with this beautiful deluxe edition of his best-loved book. 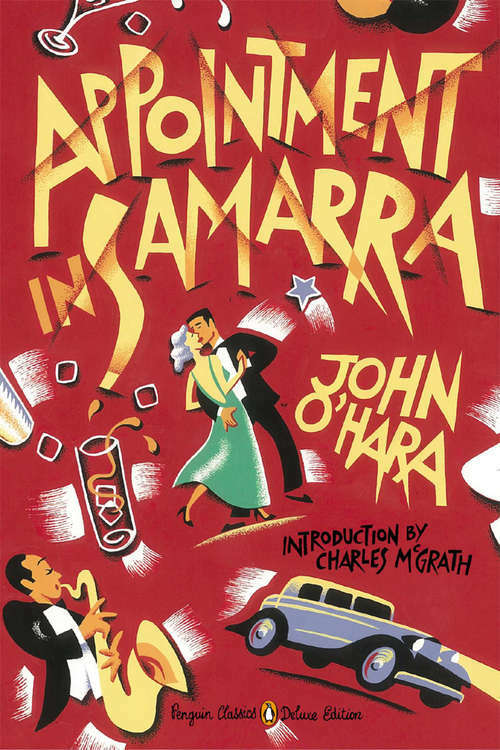 One of the great novels of small-town American life, Appointment in Samarra is John O’Hara’s crowning achievement. In December 1930, just before Christmas, the Gibbsville, Pennsylvania, social circuit is electrified with parties and dances. At the center of the social elite stand Julian and Caroline English. But in one rash moment born inside a highball glass, Julian breaks with polite society and begins a rapid descent toward self-destruction. Brimming with wealth and privilege, jealousy and infidelity, O’Hara’s iconic first novel is an unflinching look at the dark side of the American dream#151;and a lasting testament to the keen social intelligence if a major American writer.